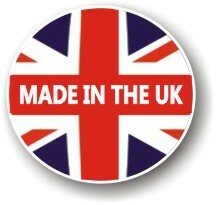 * Now In a Range of 7 Colours - 3 NEW Colours !! 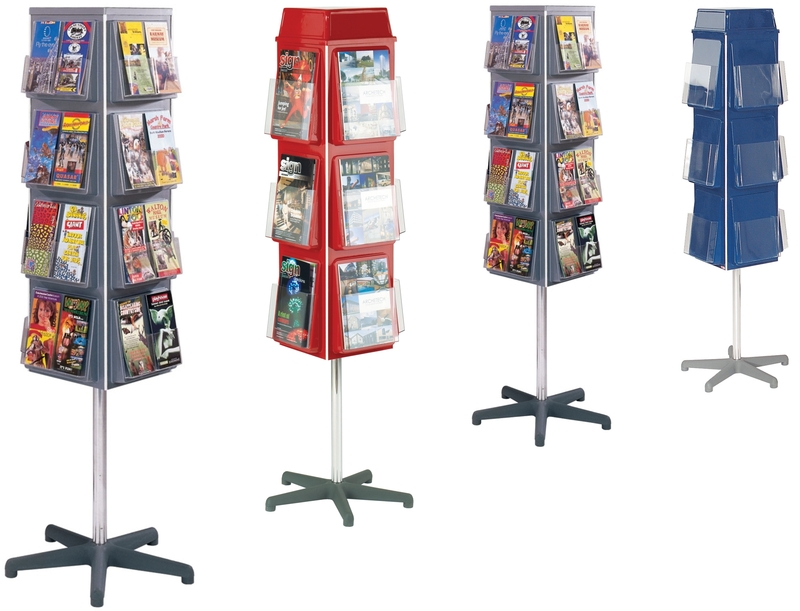 Our 4 Sided Freestanding Literature Dispensers are available in a range to accommodate 3 different literate sizes being A4, A5 and 1/3 A4. 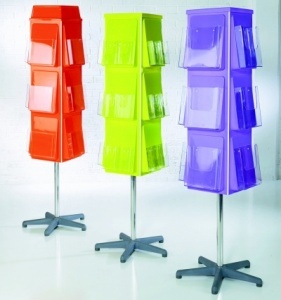 Available in 7 colours the clear acrylic pockets are mounted on 4 sides and offer a 30mm capacity which show the full front of the literature with no overlaps. 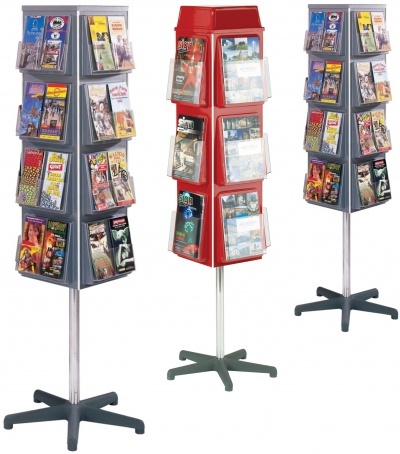 With its moulded body mounted on a chrome central column on a grey star base this dispenser offers 12, 16 or 32 pockets. 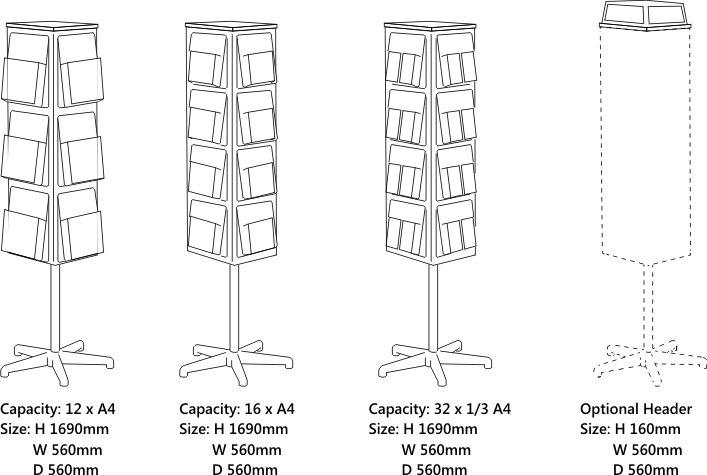 An optional header panel is available which can be used to personalise the dispenser.